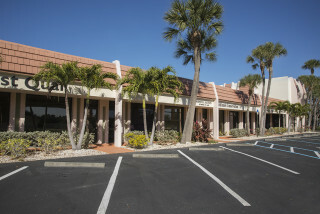 Research by consultants and county staff has shown that a new Venice Public Library could be built on the site of the facility the Sarasota County Commission ordered closed in January because of the concerns about the potential ill effects of mold on patrons, volunteers and staff, the county engineer told the Venice City Council and the commission during a joint meeting on March 31 in Venice. However, Sarabeth Kalajian, the county’s director of libraries and historical resources, pointed out that the decision about the location of a new county library will be left to the residents of the community. The first meetings held to focus on planning for that facility were held on March 21, she noted; the second set will be conducted on May 3. In the meantime, County Engineer Isaac Brownman explained, none of the air quality testing undertaken in the city-owned Hamilton Building has indicated problems that would prevent that structure’s use as a temporary library until a new facility has been completed. Further, Brownman said county staff has been working with contractors interested in bidding on the interior demolition and new construction in the Hamilton Building to determine whether the county can speed up the 90-day timeline for substantial completion of the work. Although the county’s solicitation called for that 90-day period, Brownman noted that staff is still hoping it can achieve a 75-day timeline, with another 30 days added on for final completion. The City Council and the County Commission agreed to lease terms on March 8 so the county could begin the process of adapting the Hamilton Building into a temporary library. In the aftermath of the Venice Public Library’s closing its doors on Jan. 30, the Venice Community Center — where the two boards met on March 31 — has been the site of interim county library services. At the start of the two boards’ joint meeting on the morning of March 31, six people offered public comments related to library issues. Jacqueline Mideo sought more details on the results of the fungal and bacterial assessments in the structure. Other remarks focused on whether the roof would need to be replaced soon. During a presentation that lasted less than 3 minutes, Brownman explained that the consultant the county hired to handle the environmental study of the Hamilton Building indicated its team did not need to examine all seven units. “We trust their assessment as a professional,” Brownman added. Except for a spot of mold identified in the remaining two units, he said, those rooms have the same conditions as the others the consulting team did review. Further, he told the boards, “Nothing in the indoor air quality report produced any concern” that could not be addressed with the planned interior demolition and the cleaning of the heating, ventilation and air-conditioning system. When Commissioner Christine Robinson, who lives in Venice, asked why the specific information Mideo referenced about fungal and mold tests was not part of the report, Brownman told her the indication was that all levels were “well within recommended guidelines.” Nonetheless, he added, he would obtain those numbers and add them to the report. Robinson asked him to send the information to the commissioners and make it available on the part of the county’s website dedicated to Venice Public Library updates. As for the roof: Brownman explained that staff reviewed an unsolicited report on its condition that was provided to the City of Venice, but “we do not believe, after our inspection, that that work is necessary to preserve the roof for the next three years.” The Garland Co. report recommended replacement of one roof section and repair of the second section, with a cost estimate ranging between $98,000 and $123,000, according to a March 28 county staff memo. Both county and city inspectors examined the roof, and the county’s roof maintenance staff inspected the interior of the Hamilton Building, he continued, to check for “manifestation of leaks.” None was found. Regarding asbestos, he said, “We’re actually surprised to see as little asbestos as was found in there,” given the age of the structure. Mayor John Holic sought to clarify whether the county is proceeding with plans to demolish the Venice Public Library building and erect the new structure on that site, saying none of the City Council members have been apprised of such a decision. “I think our residents would like to have the assurance that the county is open to all locations” of the new facility, Holic added. 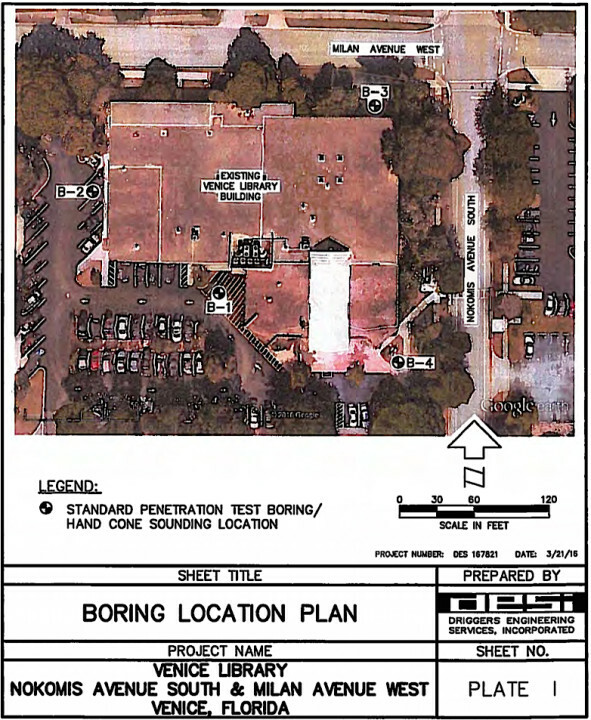 In routine planning for a new library, Kalajian told him, an existing site is not part of the process. Therefore, she said, she and other staff members are approaching this matter the same way. 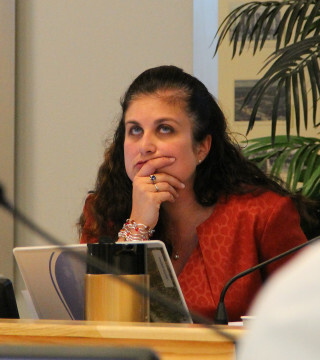 In fact, she told Holic, the county has retained the services of Sweet Sparkman Architects of Sarasota to assist with the site selection process. If the majority of community residents would like to have the new library on the site of the existing one, County Administrator Harmer pointed out, the old structure would have to be demolished. Otherwise, the terms of the lease between the city and county for use of that property dictate the county turn over the building to the city after the county no longer has any use for it, he pointed out. “Thank you for putting that on the record,” Holic told him. Kalajian noted in her report to the boards that the architectural plans for the Hamilton Building have been completed and reviewed by county staff members. The advertisement for bids was published on March 25, she continued, with responses due on April 8. The solicitation for an architect for the new library has been finalized, she continued, with proposals due on April 6. In May, staff plans to complete its short list of firms to consider, with oral presentations and interviews scheduled in June. The second set of community meetings to plan the new library will be held at 10:30 a.m. and 6 p.m. at the Venice Community Center on May 3, she said. Following the presentations, Vice Mayor Kit McKeon told his colleagues, “I don’t want to be construed as trying to slow down a ship that has already started to sail,” but he reminded them of informal discussions in the past about the potential for combining a new library with facilities for county archives and an expansion of the Venice Museum. This seems a good time to consider that, he added. At one point during the discussion, Council Member Richard Cautero criticized county staff for the way the closing of Venice Public Library was handled. “I respectfully request that [county leaders] review the public affairs and communications protocol in an effort to improve the effectiveness and outreach in the future in these types of circumstances,” he said. In response to a question from Commissioner Robinson, Harmer said he believed county staff is sharing every update on the library situation with city staff as soon as information or materials become available. 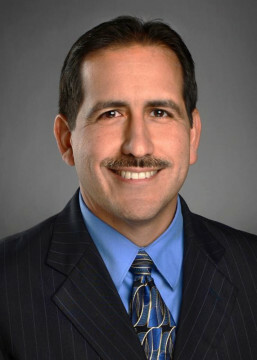 Commission Chair Al Maio noted that county staff and the commissioners have offered many apologies about the lack of communication to the Venice Council and community residents prior to his board’s Jan. 12 vote to close the Venice Public Library.